Protect shipping labels against damage. A low-cost way to ensure your packages arrive. 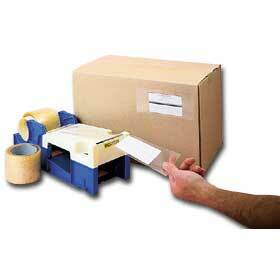 Label protection tape protects labels against smudging, tearing or moisture. Strong 1.8 mils. thick for extra protection. Transparent. FOB Shipping Point. Designed for fast, easy tape application. Built for endurance.